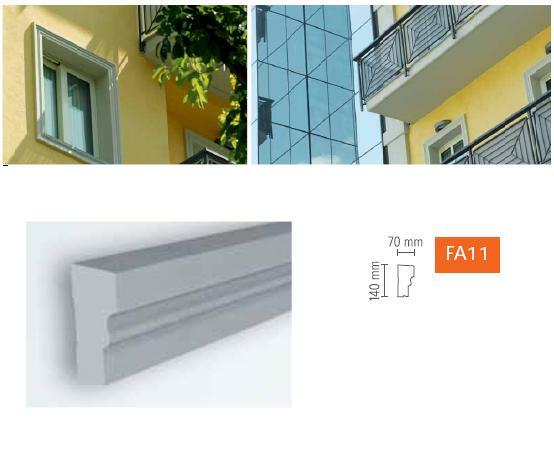 Minimum quantity for "FA11 windowsill profile 14 x 7 x 200 cm DOMOSTYL NMC" is 2. 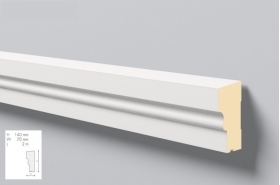 Stucco facade is made of a material resistant to weather conditions, resistant to moisture and ensures long-term fixed look. The material used for the production makes the installation of facade strips is easy and fast and the crop does not make much of a problem.